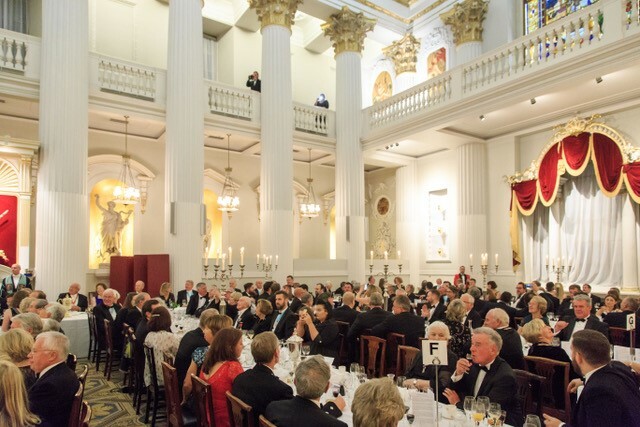 The Annual Livery Banquet will be held at The Mansion House, in the Egyptian Hall, at 6.15pm for 7.00pm. The Lord Mayor's office has confirmed that, as his diary now stands, the Lord Mayor should be free to attend on that day. The Master hopes that all members of the Court will wear white tie/evening dress, and Liverymen and guests are also encouraged to do so, although dinner jackets (with black bow tie) are perfectly acceptable. There is no limit on the number of guests you may bring. Please note that, whilst invitation cards are “pour mémoire”, for reasons of security they must be presented to Mansion House staff on arrival, otherwise admission may be denied. Reflecting the work of the Livery in the world of spirits, the Livery seeks to showcase an enhanced and exciting offer of spirits at its functions. For the Mansion House reception, the spirits serve will take the form of The Master's Bar. Champagne, whisky and non-alcoholic drinks will, of course, also be available. If you wish to book on line more than 10 guests, please contact the Clerk's Office Direct.